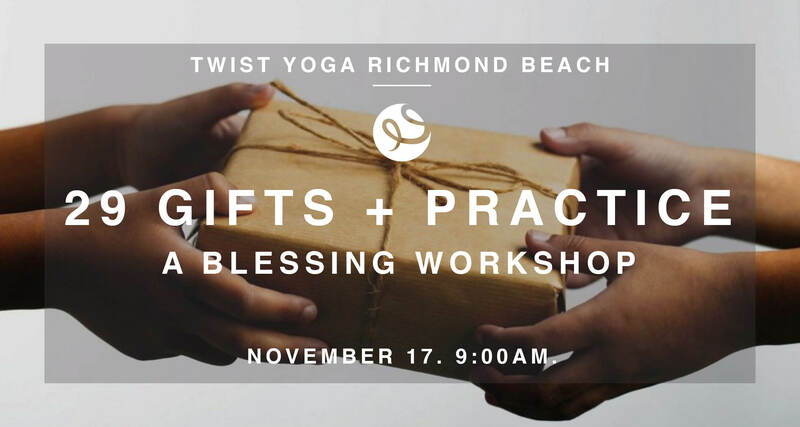 Join us for a donation-based workshop and blessing to welcome our Richmond Beach location to the Twist Yoga community! Our first offering at Richmond Beach, Michele teaches a 90 minute Kundalini class + 29 Gifts workshop to navigate these times, which feel particularly difficult at this moment on our planet. This workshop will recharge you to exist in the world in an effective and generous way. Class is by donation, with all proceeds going to Life After Hate, an organization dedicated to help people leave hate groups. Everyone is welcome – no previous experience required. We invite you to join us and help us to bless our newest Twist Yoga location on Richmond Beach Road, connect with your community and take away strategies to inspire others to connect.